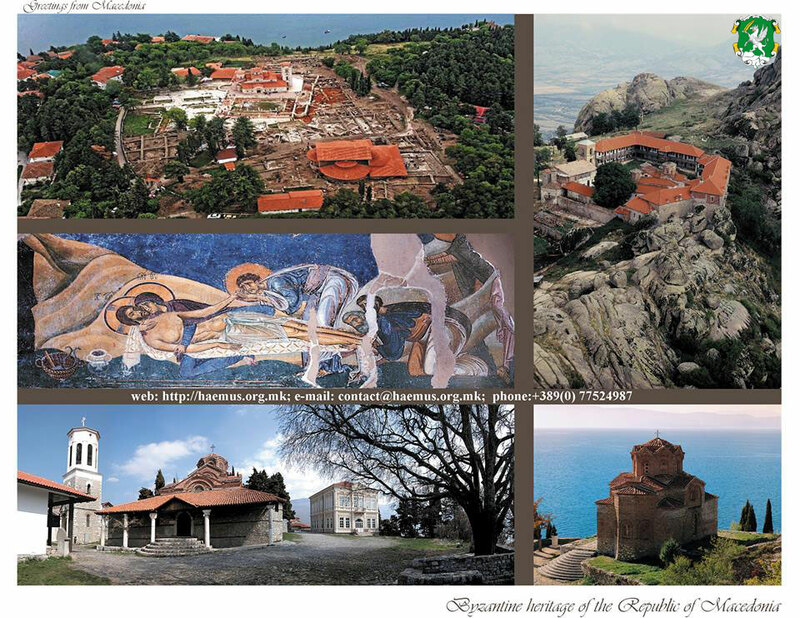 The medieval cultural layers in Macedonia abound in testimonies to the achievements of the mighty Byzantine Empire, which includes jewelry, glazed painted ceramic ware, metal objects and, especially, numerous individual and group finds of gold, silver and bronze coins unearthed on archaeological sites. Byzantine architecture is the architecture of the Byzantine Empire. Republic of Macedonia as a part of this empire during the centuries has a lot of heritage, mostly in a shape of churches and monasteries. These churches are among the most valuable monuments of the middle age architecture around Skopje, the capital of Macedonia, and especially in the historical part of Ohrid, which is comprised on the UNESCO world heritage list. Macedonian churches and monasteries have a long tradition. The frescoes in the small church of St. George built in the 12th century near the village of Kurbinovo, in the vicinity of Prespa, together with the frescoes in the church of St. Pantelejmon near Skopje, dating also from the 12th century, present the highest achievements of Byzantine art from that period. Alongside these, one must not omit the church of St. Leontius in the village of Vodocha, the Church of the Holy Mother of God in the village of Veljusa, both in Strumitsa region, the church of St. George in the village of Staro Nagorichane in Kumanovo region, the Monastery of Treskavec in Prilep region, the Monastery of Lesnovo (14th century) in Kratovo region, and the Monastery of St. John Bigorski (19th century) in Gostivar region, whose wood carved iconostasis presents a masterpiece of the Miyak wood-carvers. St. John Bigorski monastery – located in the heart of the National park Mavrovo, originally established around 1020/21, the actual church dedicated to St. John and the fresco paintings originate from the 19th century. The iconostasis represents a masterpiece of woodcarving, performed by the woodcarvers of the neighbor Mijak region (more info). St. George church (Kurbinovo) – located in the village Kurbinovo, on the slopes of the Mount Pelister near the blue waters of Lake Prespa, the small and charming single-nave church of St. George, dates from 1191. The fresco-painting is from the period of its foundation and represents a true masterpiece of Byzantine painting from the 12th century (more info).